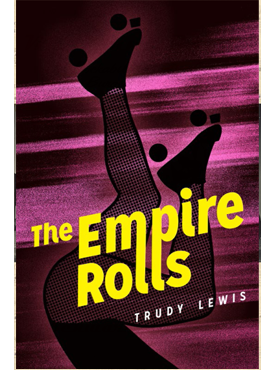 The Empire Rolls is a novel about roller derby, DIY culture, private space, public land, and the changing landscape of the Midwest just before the economic crash of 2008. Sally LaChance is a Missouri park ranger and the emcee for a local roller derby team, the Boonslick Bombers. When she loses her temper with an arrogant band of industrial polluters, she puts her job, her reputation, and her life at risk. –Charles Yu, author of How to Live Safely in a Science Fictional Universe. Great visiting with you today Trudy! Congrats on the recent birth of your latest work. the best of the Missouri novels…though, truly, I think it’s a bit above the other book. and think you have great taste, both for “The Moonflower Vine” and “Fools.” Bob G.